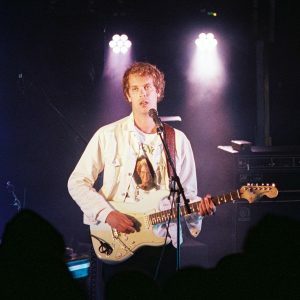 Jake Webb is the 30 year-old lead singer and primary songwriter of Perth art rock quartet Methyl Ethel. The band has just wrapped up an Australia-wide tour with Laneway Festival and are poised to release their latest album, Triage on Friday 15th February via 4AD. Let’s start at the start. What prompted your desire to start writing and playing music? I think I’ve always been interested in it and it was a pretty natural evolution from playing around with my first guitar I got when I was 12. My older sister played piano all the way through high school, so music was always around in some capacity here and there. For my 8.30 in the morning brain that’s as far as I can go back (laughs). Your first couple of EPs (Teeth and Guts, 2014) have a psychedelic sound that’s become synonymous with your hometown. Did growing up in Perth have any influence on the style of music you first made? Apart from being generally inspired to make music myself, on my own, that’s as far as the Perth influence went. I kind of look more broadly as far as musical inspiration goes; trying to tap into the deeper, darker recesses of interesting music. 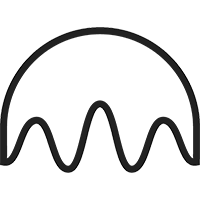 Especially in the beginning, I was really, actively listening to music in all these blogs, like Mutant Sounds, which is now defunct. I was interested in experimental DIY music. That was a big inspiration for me. Were you expecting things to pick up as much as they did after the success of your first LP? In hindsight, you might read that it was a big success, but it was and still is a slow burn. I think people take a while to come around to my music for one reason or another and therefore it kind of sneaks up on you, rather than being ‘oh wow, this is successful’. I’m still kind of figuring out that people are interested in the music, but I try to ignore it all and just concentrate on the next thing. Keep my head in the work and less in the more grander, existential questions of what and why and who and how. What have you gained from accruing your own cult following with the audiences that attend your gigs? Well, people are coming and listening and buying the music and that helps me to pay the bills to keep making it. In that regard it’s a pleasure and I’m happy to be able to be in that position. But, I don’t know. I think I’m a bit weird when it comes to that sort of thing. I kind of ignore the idea that people outside of my inner circle of friends really like the music because it’s too much of an abstract concept to grasp. I kind of ignore the idea that people outside of my inner circle of friends really like the music because it’s too much of an abstract concept to grasp. Is it confronting to think about? Potentially. I don’t know why I choose not to not think about it that much. I still see the audience-artist relationship as like a two-way street where I need to uphold my end of the bargain in order for them to be there listening. So, I’m as grateful to people for listening as they are for having something to listen to. You’ve said previously that your writing process is a solitary thing that happens upon the release of a forthcoming album. Have you already got the next one sorted? Well I’m actually sitting, about to start another day of exactly that. At this point there’s been about six new complete song demos since I completed the last record and there’s an album worth of new songs and other little bits and pieces that didn’t make the cut last time that I’ll rework. I guess I’m on track for the next one. But it can be a really motivating time post-album completion to make music and really, just, if I want it to be, I can be making music for the sheer pleasure of making music. Experiment, try new things out and not have to think. It just takes the pressure off your shoulders. Not that there was pressure, and pressure is good, but, that’s the real reason. With respect to that process and timeframe, do you encounter obstacles like writer’s block or other internal pressures? I think there’s something about the space that sometimes I just get burnt out on it and sometimes I can’t even go into my studio space. Because it’s in my house at the moment and it has been close by when I’m writing, sometimes it’s like, ‘ugh, I just need to get out’. Like, earlier this year, the first half of this year working on Triage, there was certainly a fortnight where I was burnt out by it all so I think I just read four books in a week and a bit. So, it’s from one obsession to the next, and that’s in order to fill my brain full of things that are useful in my musical pursuits. With your second release, Everything Is Forgotten (2017), you worked with producer James Ford (Foals, Florence and the Machine) and on Triage you’ve had Marta Salogni (Björk, MIA) help out. What have you learned from working with both those people? I’ve learned everything that I know how to do when it comes to producing music comes from every interaction I’ve had. James and Marta have a great deal of useful things I’ve learnt from both of them on the technical side and their approach, etc. But also, when you think about spending that much time one on one, you get to know each other, and also their processes, intimately. I’m someone who’s learnt over the shoulder of other people since I started and it’s also something that I actively do, almost like it’s an educational process in itself. It’s like when bakers always keep journals of their ratios to continually improve their best recipes. It’s always pushing forward to try and hone your skills each time. Education of it all I find to be super important. Everyone I’ve worked with, the reasons for choosing them is to try and learn from them. Marta in particular, her and I got on really well and became really good friends and she’s someone I would absolutely work with in the future. The songs that work the best have the least amount of tracks or elements in them… I’m trying to make things sound big in small ways. You’re able to create quite vast soundscapes on a lot of your songs like “Shadowboxing”, “Groundswell”. Do you ever struggle to fit everything in? That’s something that is the great challenge of the process; learning how to make wise decisions when it comes to what should go in and what should come out. Editing is the real trick in making those decisions, especially when I’m by myself and I have the final cut. I find that instead of labouring over one song for a long time, I tend to work in groups of songs rather than trying all my ideas on one song. You have the fundamentals of the composition of what is pop songwriting and then you have the production element, the tweaking of knobs and so much fun and wasted time that can be had with that. I think it’s something that over time I’m trying to improve upon. The songs that work the best have the least amount of tracks or elements in them and each one serves their purpose. I’m trying to make things sound big in small ways. I’m still figuring things out. Can you elaborate on any particular events in your life that contributed to the writing of Triage? Just 2018. My life in 2018… and the world in 2018. I dunno, its just, that’s the specifics of it really. The music video for “Real Tight” has some sweet dance moves going on in it. Did you have to spend much time working on those? Hey that’s just freeform, you know. That’s just the magic. The magic of the moment. I really like the clip, Matt Sav (Jack River, Pond) who directed it is an old friend and it was great to work with him finally on something together, and, yeah it was great fun. Stressful though. You could probably imagine how just dancing freeform into one of the cameras was an experience. You’ve stated previously that a lot of your music is made to be interpreted by the listener, oftentimes leaving some mystery surrounding your own intended messages in the songs. Is it hard to write music made for the listener to take what they will away from the song whilst still being a catharsis for whatever you’re going through? I absolutely think about those things. I think we have to remember, it’s more your role to unpack the themes and the deeper contexts of the songs to really get into the minutiae of what the lyrical content of these songs is. I think for the vast majority of music listeners, it’s always immediate. It doesn’t matter how deep a lyric goes or what is there, I think it’s always going to be immediate and if a songwriter cares about their message, I think they’ll put things in there. And I like to have answers, or at least know in myself that I’ve thought about what my songs are about. I have to go out there and stand and perform these messages and these things that I’m saying so it feels better to have these songs come from a place that is pure and honest. Do you have a favourite album from the past year? The only new album I’ve heard this year is by a guy called Kirkis. If you could collaborate with any artist, in any medium, past or present, who would it be and what would you create? You’re gonna get a terrible answer here. That’s far too difficult to answer. There’s so many people. Collaborate would mean that I would have something to bring to the table and the people that are my heroes, it would be purely good just to have a chat and find out some of their secrets.